Ukraine Solidarity Campaign has reported on the threat to trade union rights by the new Labour Code of Ukraine. Meanwhile workers of Ukraine are in an even worse situation in the occupied territory of the ‘Luhansk Peoples Republic’ in East Ukraine. 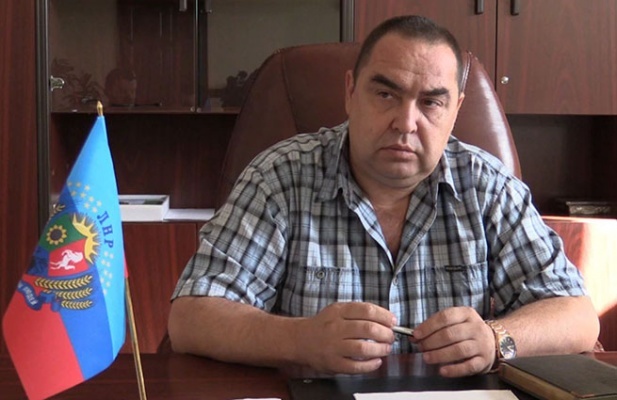 Previously independent trade unions were banned by the authorities in Luhansk. Leading trade union lawyer in Ukraine Vitaliy Dudin reports on a Labour Code imposed on workers in the LNR. The breakaway “Lugansk People’s Republic” (LNR) adopted a new Labour Code. The adoption of the document by the so-called “parliament” was timed to coincide with May 1, according to the separatists’ website. The new Labour Code worsens the situation of the workers in comparison to the Labour Code in force in Ukraine since 1971, according to the socialist association the Left Opposition. However, as indicated, some innovation proposed by the separatists repeat ideas from the draft Labour Code of Ukraine №1658, which is due to be read by the Ukrainian Parliament [Verkhovna Rada]. Experts reported that the LNR Labour Code allows employees to be dismissed “provided there is a reasonable view” of the trade union. Under the current Labor Code of Ukraine, however, prior consent to the dismissal must be obtained in writing from the trade union. The LNR Labour Code stipulates that the employment contract may include an employee’s duties established by “local regulations”. In Ukraine, however, there are no such rules, but the draft Labour codec also contains provisions on employer regulations that may impose additional obligations on the employee. In addition, both documents stipulate the responsibility of the employee to repay the employer, via additional labour, after a period of training if that training was funded by the employer. Such a rule can force a person to work despite deteriorating working conditions, if the owner shows a certificate stating that the employee has undergone such training. As with the Ukrainian draft Labour Code, the separatists are setting up discriminatory conditions for those employed on contracts of less than two months. If there is redundancy, the employer is not obliged to give notice of redundancy any more than three days before the employee’s dismissal, while not being obliged to pay any redundancy payments. In addition, a private employer (e.g. a small enterprise) can change the conditions of contract with a two-week notification instead of two months (Article 342). Previous The Challenges of Russian Imperialism Today ?